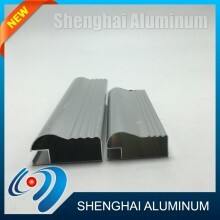 Aluminum is the most widely used metal after steel. 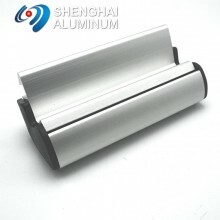 Thanks to its durability and impact resistance, the profiles made of aluminum became widely used in interior design. Today they can be seen as a part of the hi-tech kitchens, hallways, playrooms, furniture made for offices, educational or commercial establishments, etc. 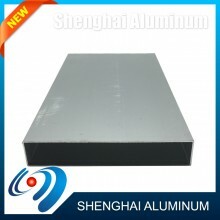 Kitchen cabinets assembled from aluminum kitchen profiles are highly resistant to any corrosion and can be easily cleaned with any household detergents without causing any harm to the furniture. 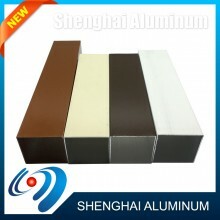 Such characteristics have turned aluminum kitchen cabinets into a popular design solution for places of common use. 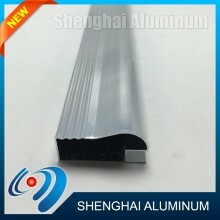 What aluminum profiles can you purchase? 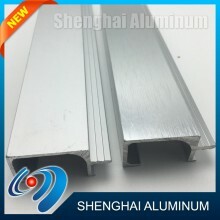 Aluminum profiles differ in width and the shape of cross-section, which comes with straight or spherical outlines. 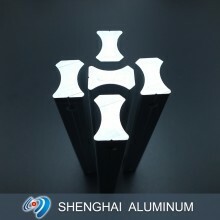 It can effect the assembling and installing processes. As a result, the price for a furniture piece and it’s set up can vary from one model to another. 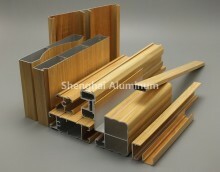 Our company manufactures aluminum profiles for kitchen cabinets, sliding windows, and doors. 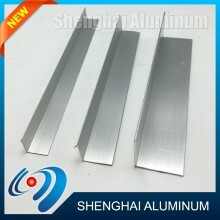 We also provide the cutting services, so it is possible to order a batch of aluminum profiles with custom sizes. 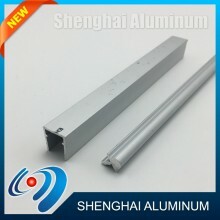 The price for profiles used in furniture production depends on its width. The narrower the profile is, the cheaper it is going to be. 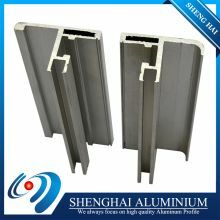 Our aluminum profiles comply with all of the manufacturing standards and will last for a long time regardless of their width or length. 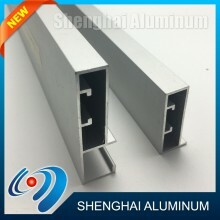 Secure yourself and order aluminum profiles straight from the producer. 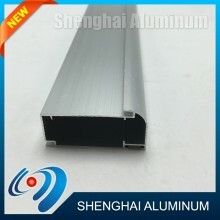 We guarantee that you will receive the batch of aluminum profiles for kitchen cabinets of the finest quality and right on time. 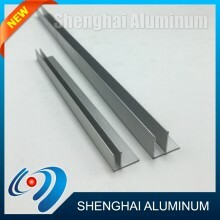 Also, ensuring the correct assembling and installation of profiles is a must to prolong their duration and stability. 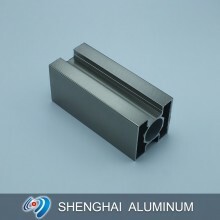 At Foshan Shenghai Aluminum Co. you can purchase and order custom-sized aluminum profiles in the amount your business requires. Our manufacturing capacities are waiting to work for you.